Following Invicta FC 16: Hamasaki vs. Brown, Invicta FC play-by-play commentator TJ De Santis, color commentator Julie Kedzie, in-cage interviewer Laura Sanko and staff writer Rob Tatum sat down to discuss the event and share their thoughts on the night’s action. On this special post-fight show, the panel recapped the action-packed card that saw Ayaka Hamasaki defend her atomweight crown by defeating Amber Brown in the night’s main event. They also discussed the title-clinching performance of Jennifer Maia who defeated Vanessa Porto, Irene Aldana’s stoppage of Jessamyn Duke and Angela Hill’s knockout of Stephanie Eggink. Jack Encarnacao is back on Invicta FC Radio for the inaugural “Invicta FC Radio Preview” show. On this broadcast Encarnacao welcomes in MMAFighting.com’s Marc Raimondi, MMARising’s Robert Sargent and Kristin Usry from WMMARoundup.com to breakdown tomorrow night’s Invicta FC 16 card which pits atomweight champion Ayaka Hamasaki against Amber Brown in the main event. The group also discussed the co-main event between Brazilians Vanessa Porto and Jennifer Maia. The pair will battle for the interim flyweight title. Listen below for the groups analysis and picks of the two title clashes, as well as the rest of the fight card. 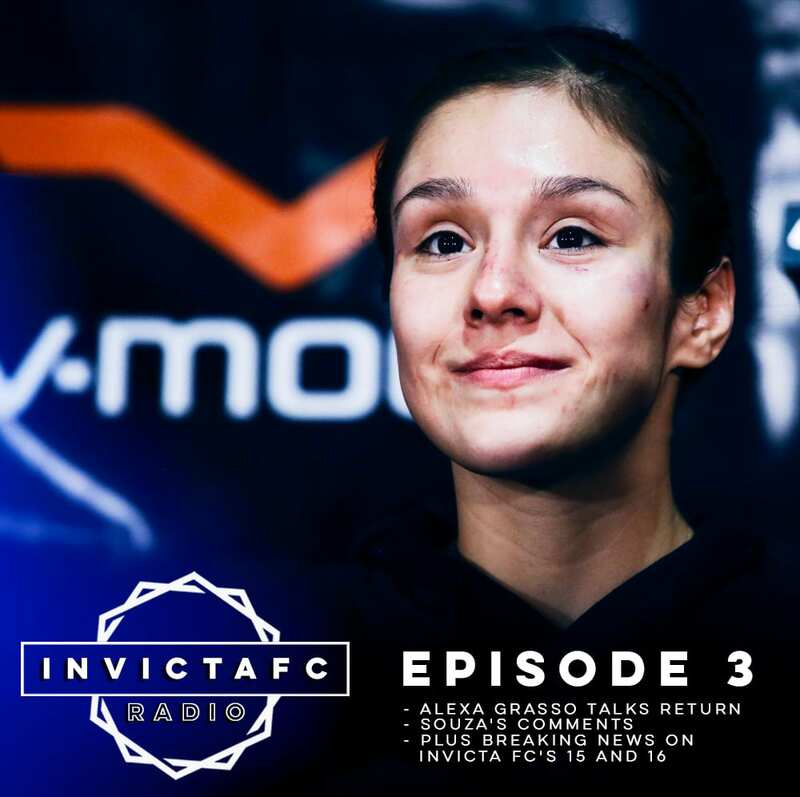 TJ De Santis is back with another edition of “Invicta FC Radio.” On this edition, De Santis is joined by Invicta FC 16 headliner Amber “The Bully” Brown, bantamweight Irene Aldana, president Shannon Knapp and matchmaker Julie Kedzie. New Mexico’s Brown discusses getting the call and earning the shot at atomweight champion Ayaka Hamasaki. The Fit NHB product also talks the road to the title, what she will have to do to come out victorious, and what this bout means to her and her teammates. Aldana makes her return to the Invicta FC cage for the first time following her title fight with Tonya Evinger. She discusses her journey back, why the Evinger bout is not indicative of her talent, and what she thinks about her opponent Jessamyn Duke. The Team Grasso trained fighter also talks about her fans and how she feels that Las Vegas will be filled with Mexican supporters. President Shannon Knapp joins the program to discuss Invicta FC 16, the schedule for the first half of 2016, the future of the 125-pound division and what we can expect from the leader in women’s mixed martial arts. Julie Kedzie joins to discuss a variety of different bouts on the card, weight cutting, and other exciting Invicta FC news. TJ De Santis is back with another episode of Invicta FC Radio. On this broadcast he is joined by strawweight contender Alexa Grasso. Plus Laura Sanko gets you “In The Loop” with breaking news. Invicta FC 15 is just one week away and Laura Sanko has some late breaking news that will shake up the card set to take place in Costa Mesa. Plus Sanko gives us a nugget about featherweight athlete Megan Anderson that not many people know. 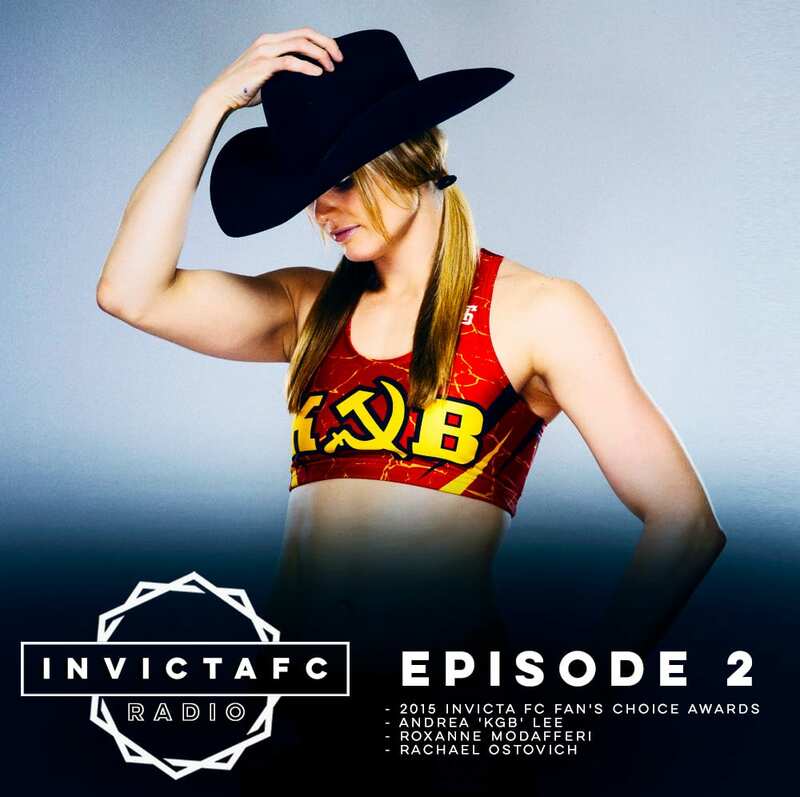 Invicta FC Radio returns with it’s second full episode. On this broadcast TJ De Santis chats with Invicta FC president Shannon Knapp, matchmaker Julie Kedzie, and fighters Andrea “KGB” Lee, Roxanne Modafferi, and Rachael Ostovich. Plus we check in with cage report Laura Sanko who get’s us “in the loop” with the latest news and information regarding women’s mixed martial arts, Invicta FC, and the upcoming card set for January 16th in Costa Mesa, California.